It’s been already one month since we lost one of the greatest Jazz guitar legends. The sad admosphere of feeling lost is still covered with me. I’m now writing some dedicated article on the late great Jim Hall, and the other day something reminded me of an interesting issue back in June 2013. It’s an interesting Hip-Hop Remix compilation by The Jazz Jousters, the name of collective compilations which have been released so many as digital albums on BandCamp. 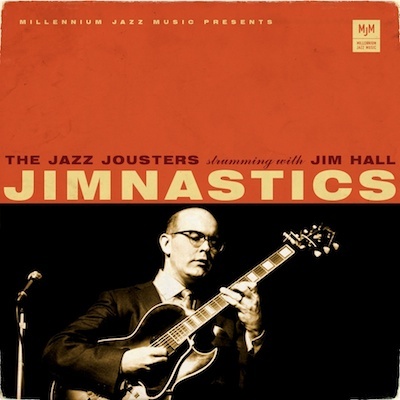 In June 8 2013, Jazz Jousters released “Jim’nastics”, featuring many samplings of Jim Hall’s guitar. Not sure how many Jim Hall fans will accept this challenge, but worth giving it a try – at least you can enjoy the guessing game, to work out which track (on the album) features which samples (of Jim Hall’s performance) from which album (by Jim Hall). and tagged 2013, Hip-Hop, Jazz, Jazz Jousters, Jim Hall.